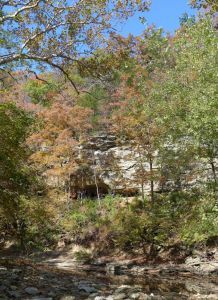 Rock Bridge Memorial State Park is located close to Columbia. 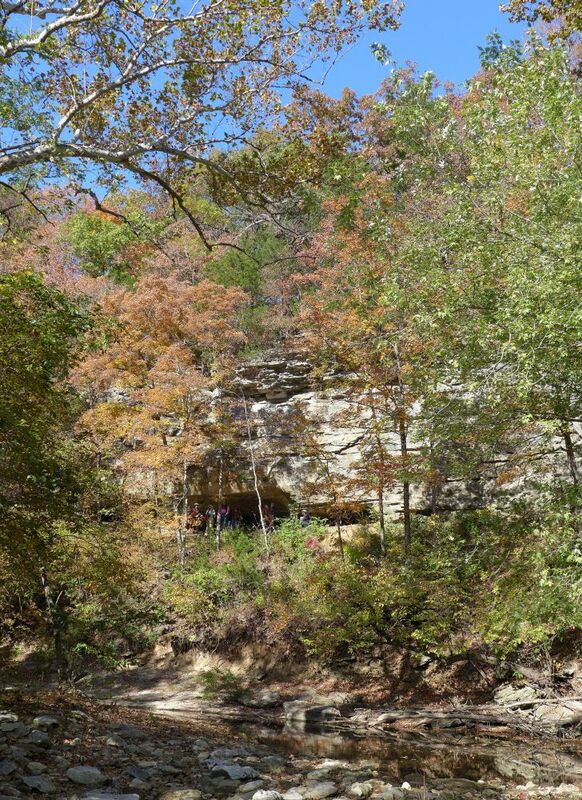 Its most popular features are the 63 ft high natural bridge that gave the park its name and the entrance to Devil's Icebox and Connor caves. 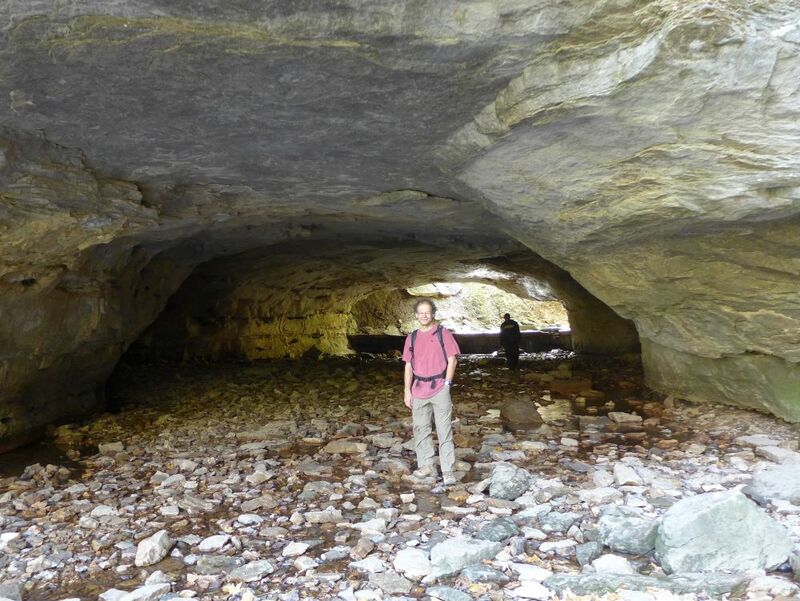 Devil's Icebox Cave is closed to protect the bats; Connor Cave can be visited between April and September. 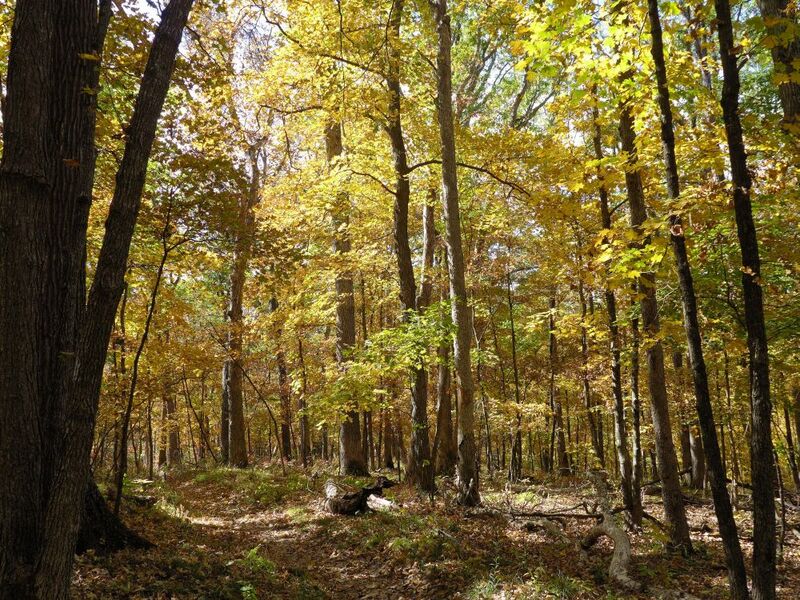 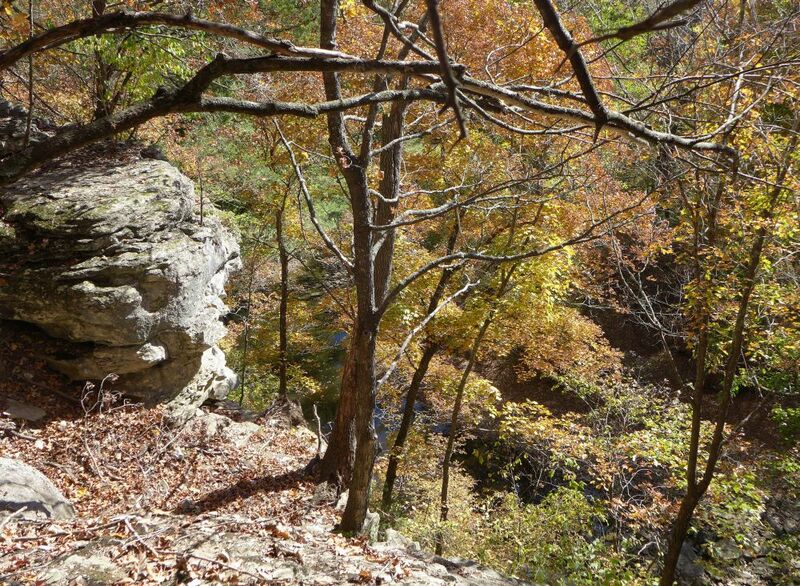 Several short trails with lengths from 0.5 to 2 miles lead through different habitats and explore glades, forests, creeks, and an area pocketed with sinkholes, making the park a good destination for families with children. Our favorite part of the park is Gans Creek Wild Area. 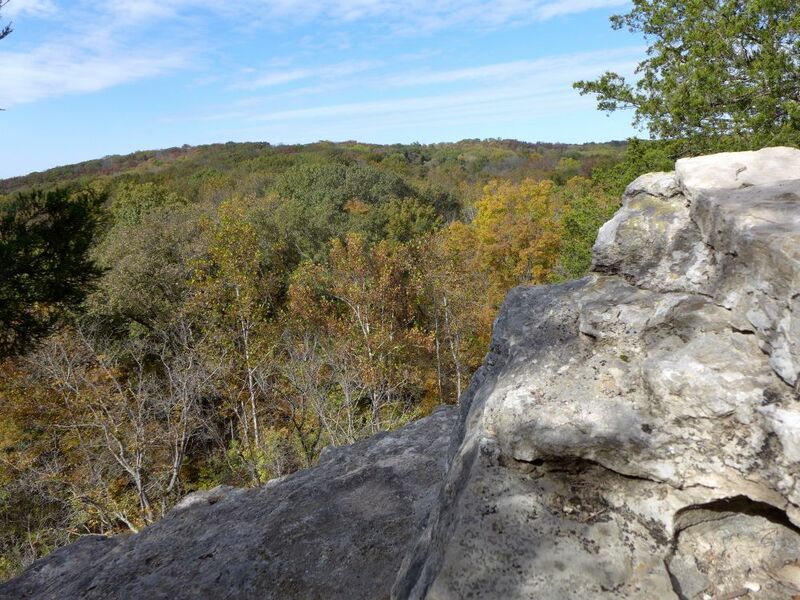 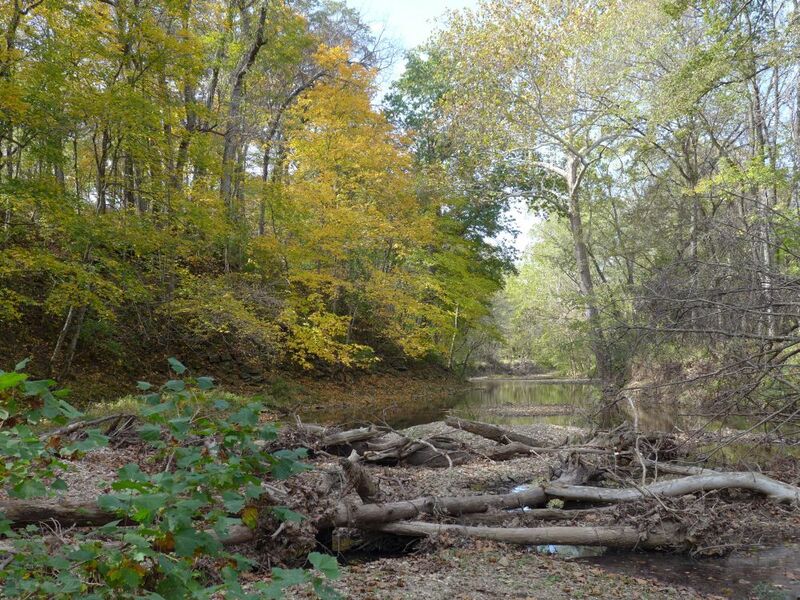 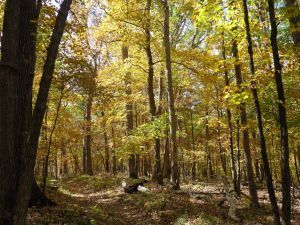 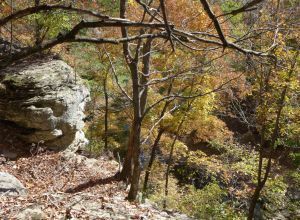 East of the main park, it offers a trail network of a total of 8.5 miles on which you can explore the valley of, and the bluffs above, Gans Creek.